A strong and effective science based 'one-a-day' multi-nutrient. Maximuscle’s Protrient® has been carefully designed for men and women of all ages and will dramatically support the health and well-being of people who are training, working or dieting hard, whether they are into sports or not. 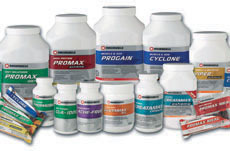 Most vitamins cannot be manufactured within the body and must be obtained either from sports nutrition products or your diet. If you\'re training or working hard, just one capsule of Protrient daily will help ensure you give maximum support to your immune system and health. 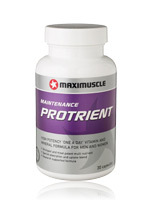 Protrient is considered the most potent and effective 'all-in-one' multivitamin and mineral formula for maximum performance and health and has been formulated in line with the UK's leading anti-oxidant doctor. Take 1 Maximuscle Protrient capsule daily.